Trust me, I know we all want to look cute. What if you see Rocky or Drake and you’re wearing CROCS and cargo pants. Your chances of one of them fathering your children will decline and your dreams since 2010 have just been crushed. I’m aware, the stakes are high. Let’s be practical though. 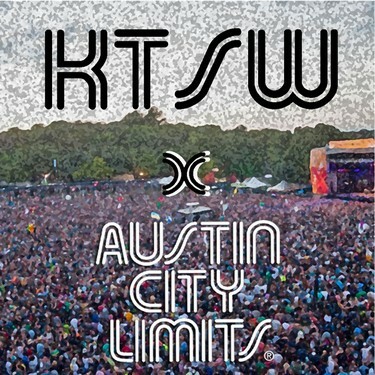 If you roll into ACL like you roll into the club, by the end of the festival you will look worse than if you just wore a T-shirt and some tennis shoes. No one looks good barefooted while holding a broken heel. No one looks good drenched in sweat, because you just look so good in black. Nothing is as cute as someone comfortable in what they are wearing. Festivals are usually hot and crowded. Lines are long. Restrooms can be scarce… or just plain scary. The lack of food and water from standing and waiting at the front to see your favorite artist perform can make a person very hangry. We get it. But don’t let your cranky mood affect the positive vibes for other festival-goers. We’re all here to have a good time! If you feel a bad mood coming on, grab a Snickers. If you’re a broke college student like me, festing on a budget is pretty important. Some people seem to believe that dolla bills are outdated, but it’s not a bad idea to have a couple dead presidents handy. Carrying cash can be an effective way to actually see how much you’re spending, and it’ll help you stay in your financial lane. It could also save you more time than using a credit card at all of the vendors ACL will have stationed throughout Zilker Park. If you’re weary about having your money stolen, the festival also has a Cashless option that allows you to pay with your wristband! Yes, bring your wallet. No, don’t bring your expensive wallet you got for christmas. Yes, do bring your phone so you can take photos. No, don’t bring your expensive camera so you can get HD photos of Dave Grohl. Austin, like all cities, is the perfect place to lose something and never see it again. During ACL, people come across the country to listen to amazing music. This means that the likeliness of you get something stolen, or losing something and someone not returning it is high. So to be safe, just keep everything expensive and that you don’t need at home. Simply bringing a wall adapter to charge your phone is a thing of the past! AT&T will be providing many charging stations at ACL, but do yourself a favor and invest in a portable charger. When your phone starts to die right before Tame Impala performs, you won’t have to worry about leaving the crowd and missing out on prime Snapchat footage to share with your friends. You can stay right there, phone and charger working harmoniously in hand, and jam to the beautiful live music free of worry. Don’t forget to re-charge the charger before the next day of fest though! Passing out mixtapes can often be the real life equivalent to spam. We’re just going to delete it from our lives a.k.a throw it in the trash (not on the ground, please – don’t litter!) In all honesty, the majority of ACL attendees did not come to hear your music, so leave them alone and let them enjoy the artists they did come to hear. When it comes to your mixtape, be anti-Nike… Just don’t do it. Save your spamming for after the festival. Thank you. HYDRATE. Water is a crucial aspect of festival stamina. Don’t be the person who faints in the crowd and has to be carted out. You are allowed to bring up to two sealed bottles of water or you can bring an empty plastic/aluminum bottle to refill at the designated filling stations around Zilker Park. If you want to survive, DRINK MORE WATER. We all like to have fun and would like to make the most of the weekend, but don’t replace water with alcohol. You can’t bring alcohol into the festival but you can buy it inside. It’s hot outside and you will be sweating, and if you consume too much alcohol you will get sick. Drink in moderation! ACL is crazy because so many things are going on. We all know parking in Austin is nearly impossible, so attendees will have to figure out a way how to get there and how to leave. There will also be a lot of shows to go to and without a plan, you will be overwhelmed. To fully enjoy your ACL experience it’s going to take some preparation. Figure out what shows you want to go to and when you want to eat. A plan is key to having a great ACL.